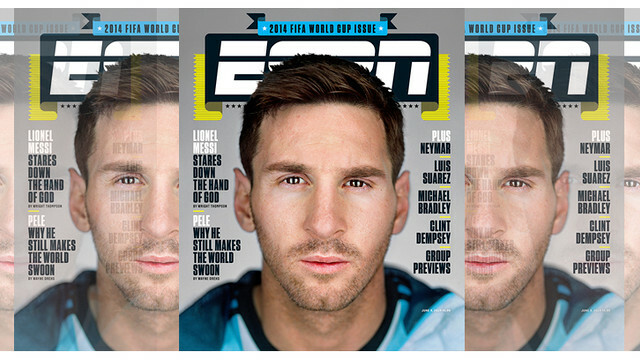 There are only a few days to go before the World Cup gets under way in Brazil, and one person that the media will be watching very closely is Leo Messi. In an in-depth interview, US sports network ESPN spoke to the Argentinian about his life both inside and outside of football. “I would love to win the cup with Argentina” he continued. “But not to change the way people view me from outside, but because that’s the team’s objective and to be able to add a new title to my honours list … I’m really jealous of my team-mates who’ve already won it. No matter how much I ask, they’ll never be able to describe that feeling to me”. Messi also spoke about how he got where he is today, saying it was “the desire to get better all the time, to want more and be the first person to be critical of myself.” But the biggest change in recent years has not been a football matter. “Becoming a father makes you see things differently” he admitted. “Now my son is what comes first and then the rest. It’s changed me a lot”.